Fig. 1. 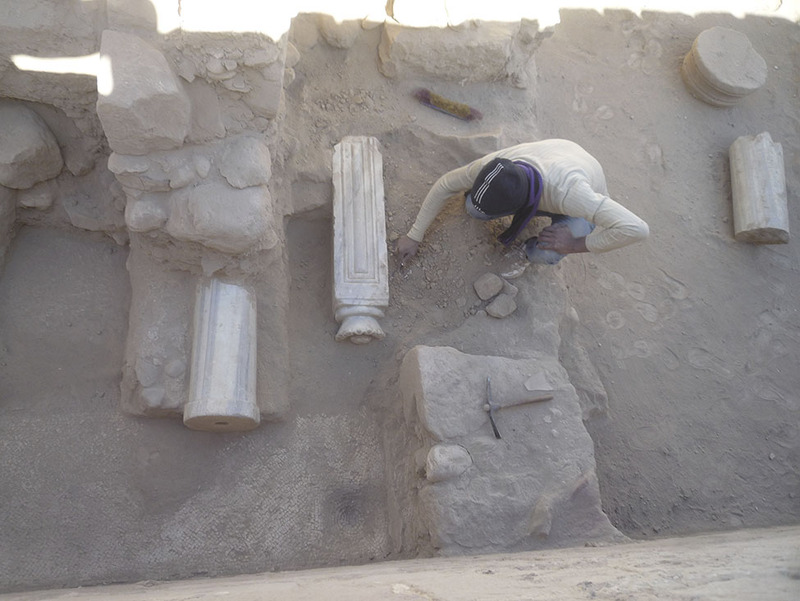 View of the excavated double-apsidal dwelling structure from Tulul al-Ghusayn, with two large grinding slabs in situ. Fig. 2. 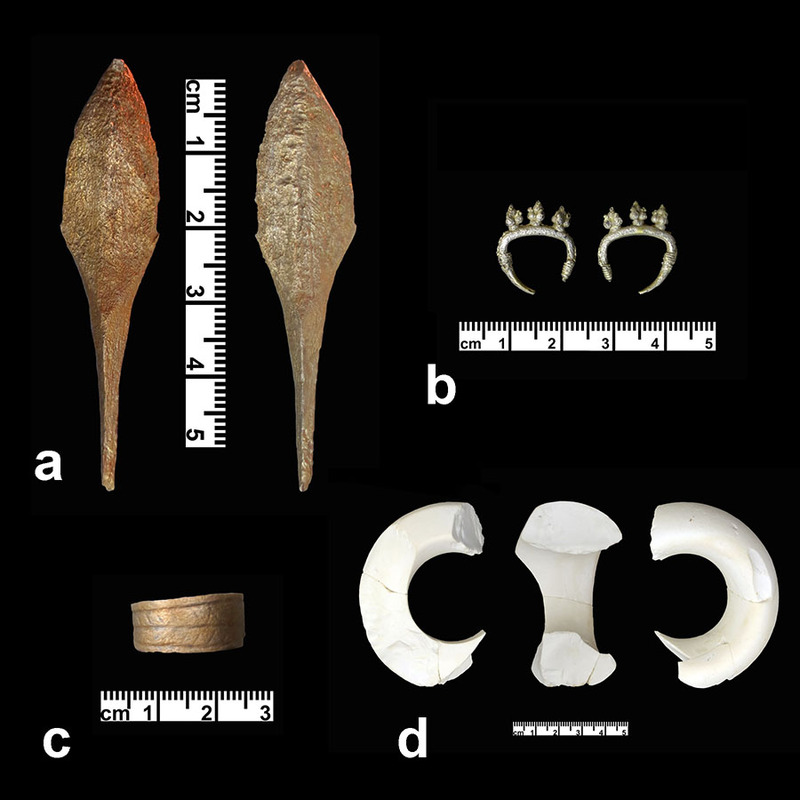 Material from the Late Bronze/Early Iron Age tomb at Wisad Pools: a, bronze point; b, silver earring; c, copper finger ring; d, macehead. Fig. 3. 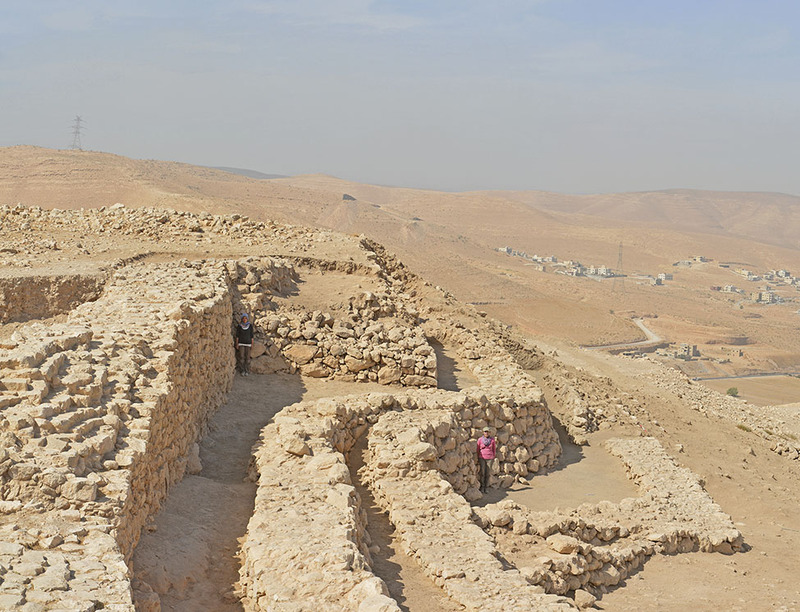 The preserved remains of the Gate of Commodus as viewed from the east looking toward modern Umm el-Jimal. The West Church is visible on the left. Fig. 4. 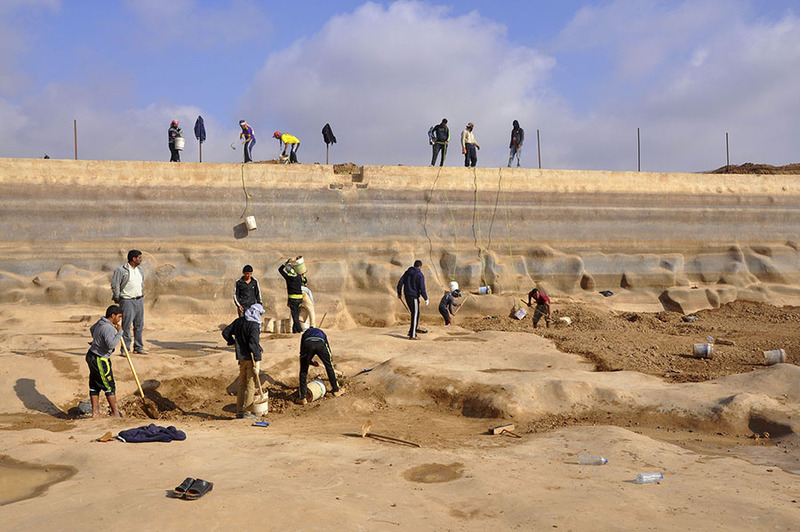 Removing sediment from the floor of Umm el-Jimal’s Roman reservoir. Fig. 5. 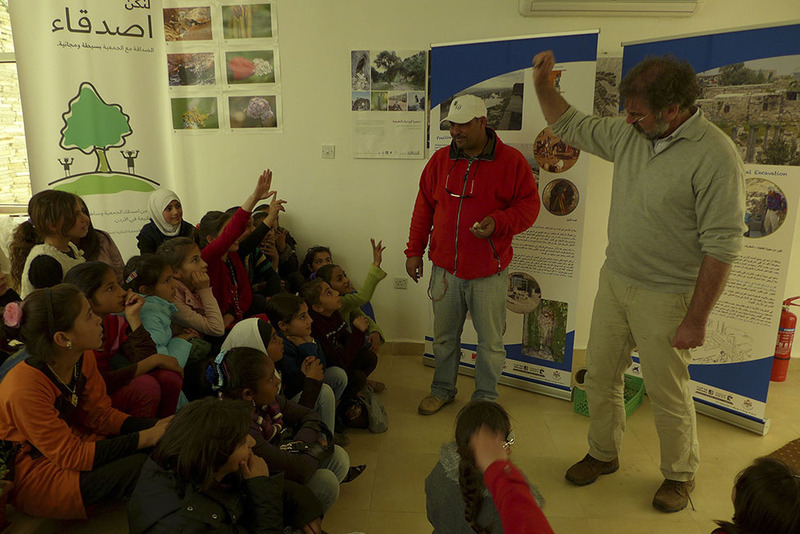 Children’s workshop on cultural and natural heritage held at Umm Qeis in April 2015. Fig. 6. 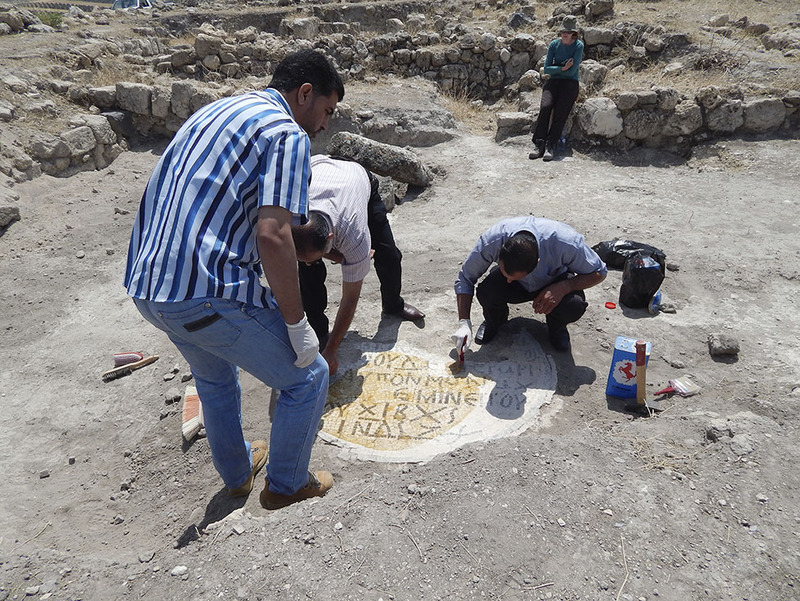 Recovery of the mosaic in Area III at Tall Zira‘a by experts from the Department of Antiquities of Jordan. Fig. 7. 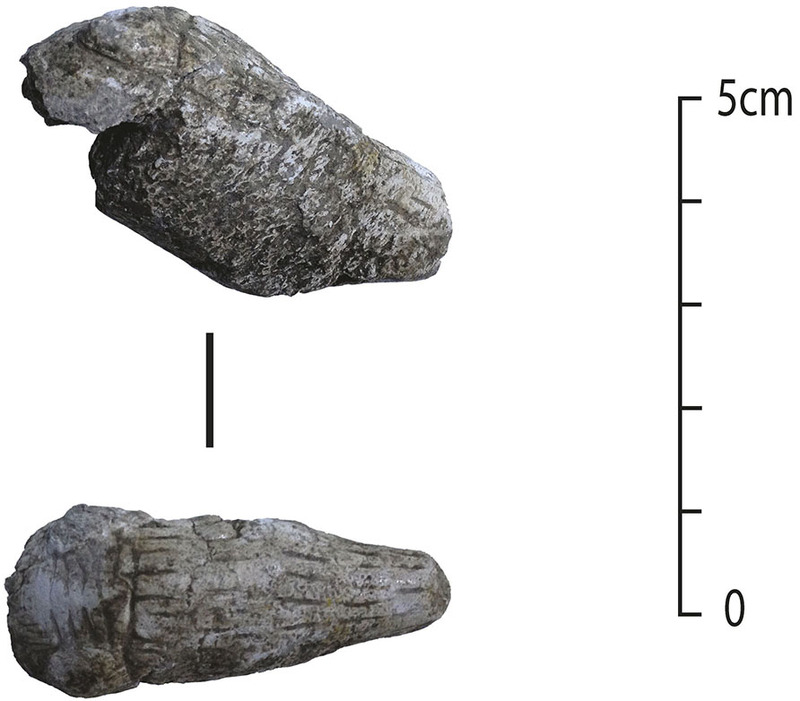 Carved and incised bone animal head from Wadi Hammeh 27. Fig. 8. 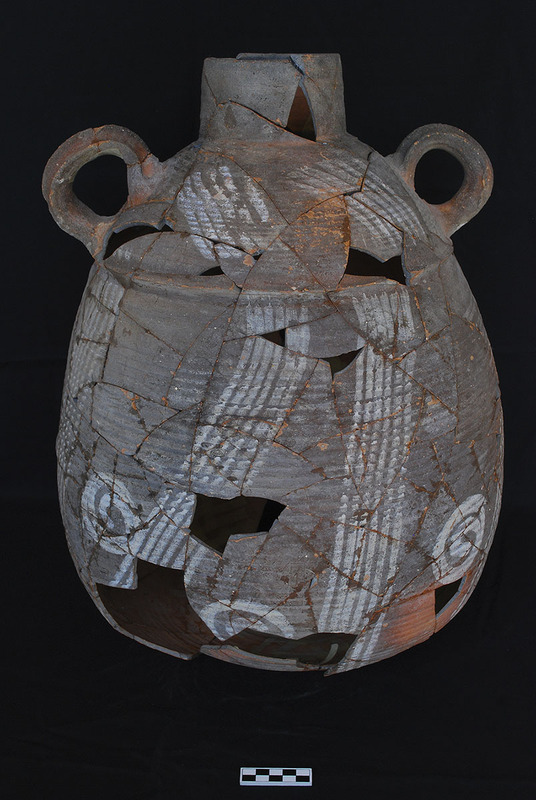 Decorated storage jar recovered from a domestic context at Tall Abu Sarbut. Fig. 9. 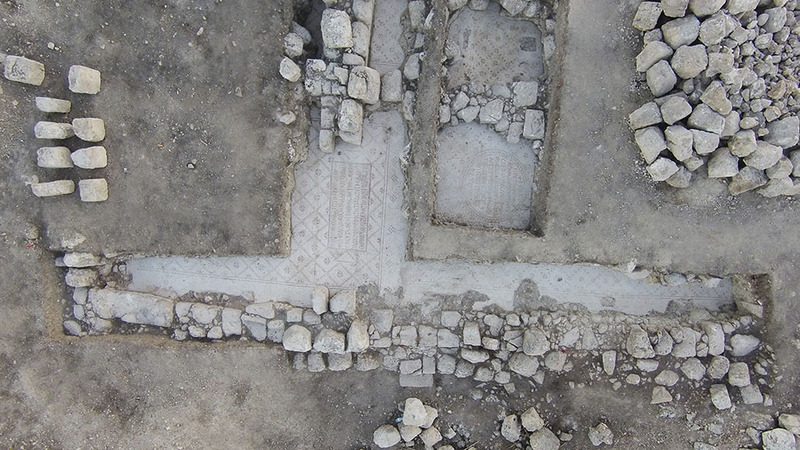 Aerial photograph of trench N with mosaic inscriptions from the northwest quarter of Jarash. Fig. 10. Protruding bastion along the line of the main inner wall at Khirbat al-Batrawy. Fig. 11. 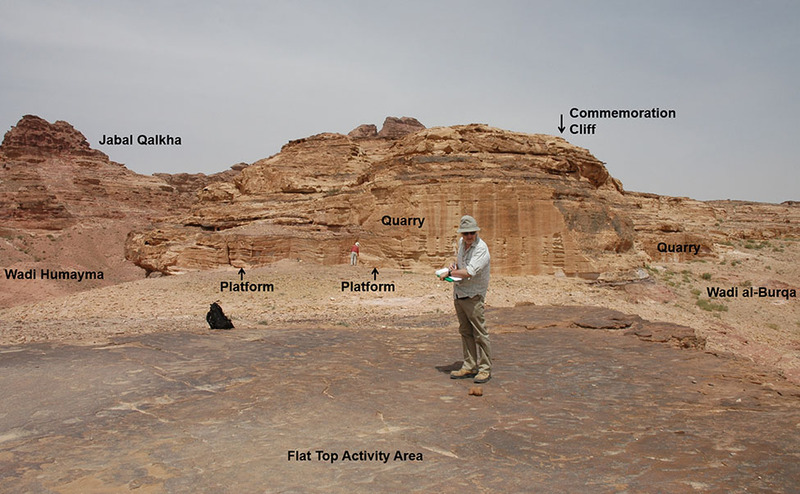 Octicopter in use by Kent Bramlett at Site 84 at Tall al-‘Umayri. Fig. 12. 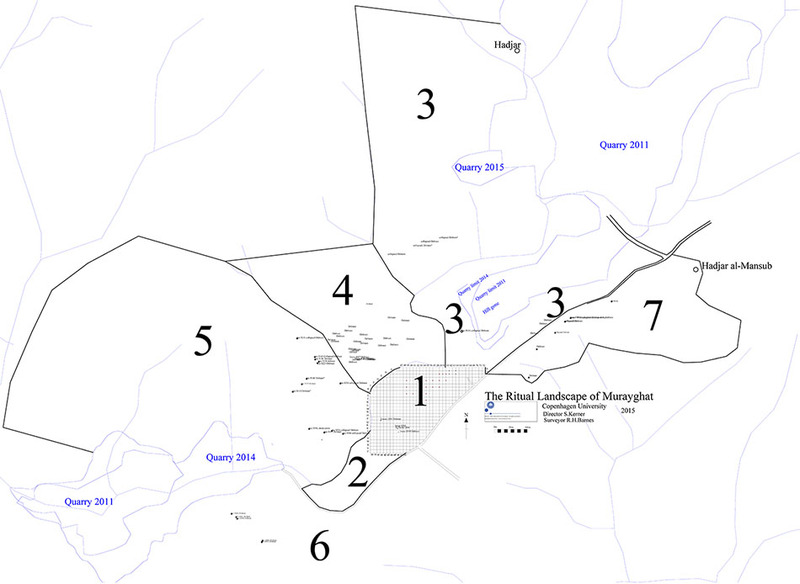 Murayghat survey plan, with Areas 1–7 marked. Fig. 13. 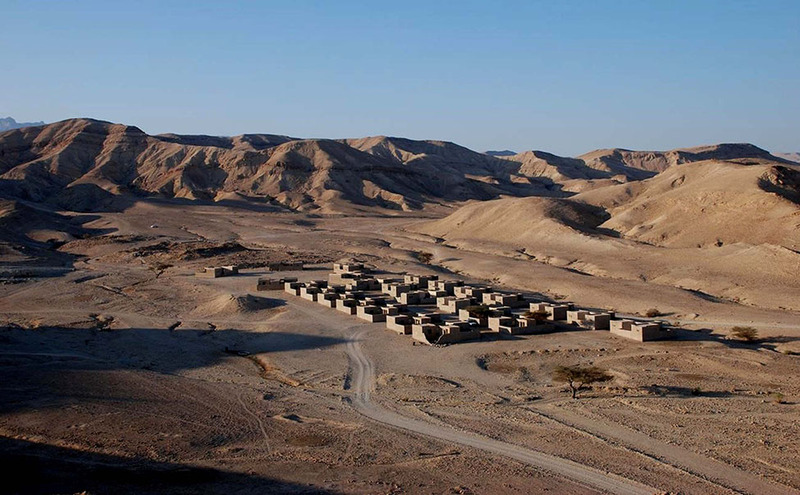 View of Khirbat al-Mudaybi‘ from the opposite side of the valley. Fig. 14. 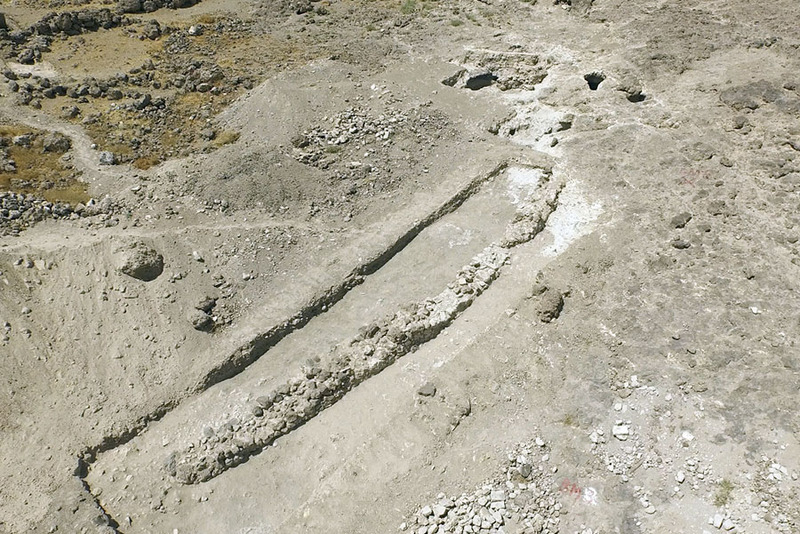 Khirbat esh-Sheik ‘Isa trench IX, showing recently discovered mosaic floor and marble columns. Fig. 15. 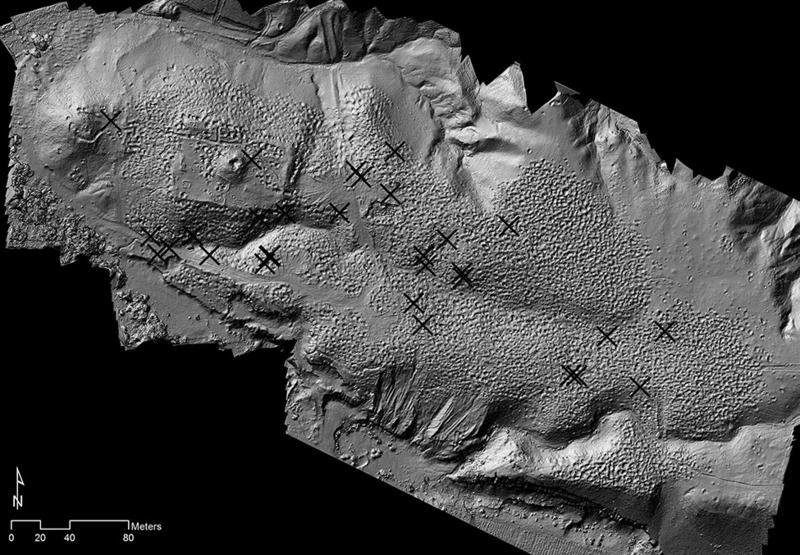 Between 2013 and 2014, 34 new looter holes (marked with Xs) were identified at Fifa. Fig. 16. 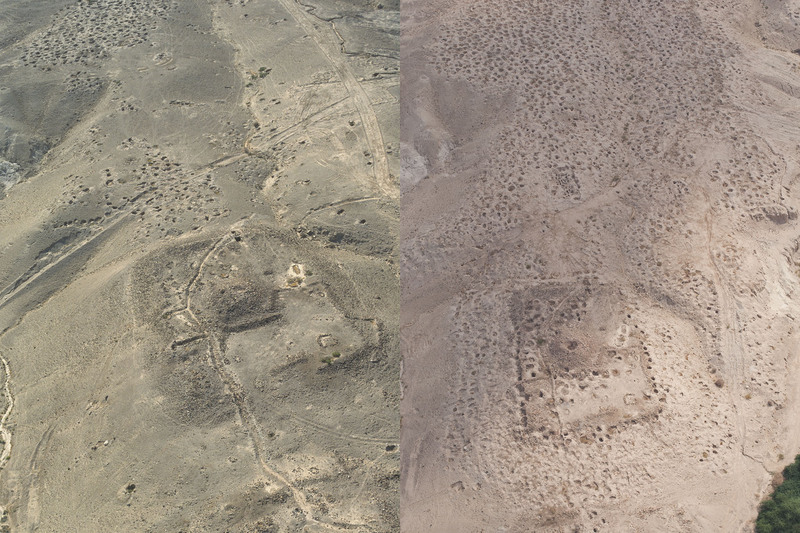 Changes in the Fifa landscape between 1998 (left) and 2014 (right) (left, D. Kennedy, APAAME_19980520_DLK-0133; right, R. Bewley, APAAME_20141013_RHB-200; courtesy Aerial Photographic Archive for Archaeology in the Middle East [APAAME]; www.apaame.org/). Fig. 17. 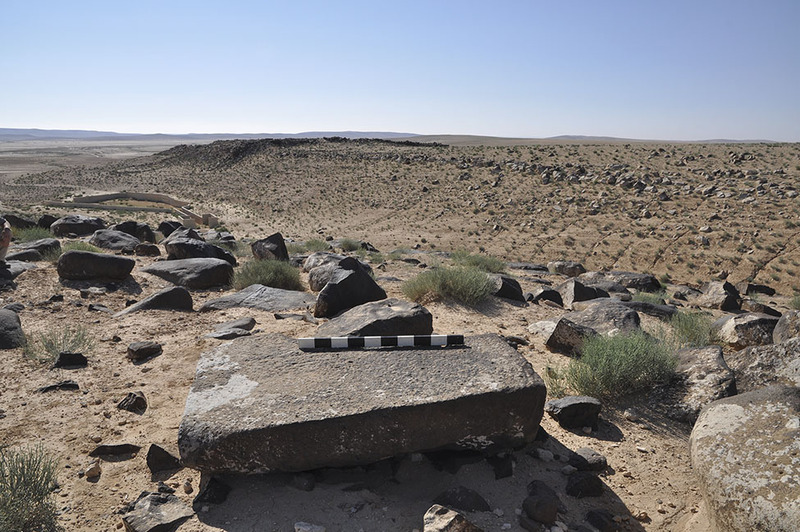 Khirbat al-Jariya is characterized by large heaps of black slag and architectural collapse. Fig. 18. 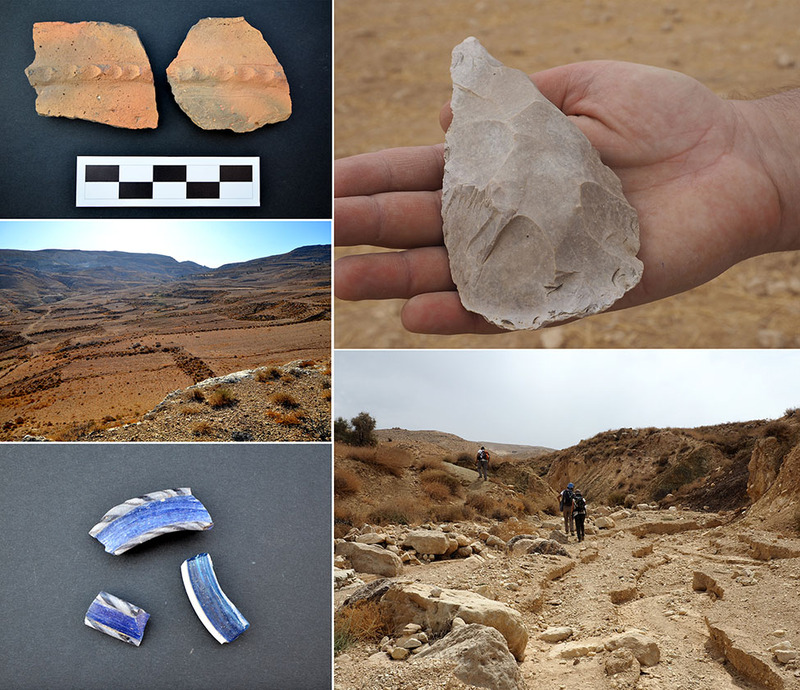 Flint axe, glass bracelet fragments, and Bronze Age sherds recovered during the Wadi Mashra survey. Fig. 19. 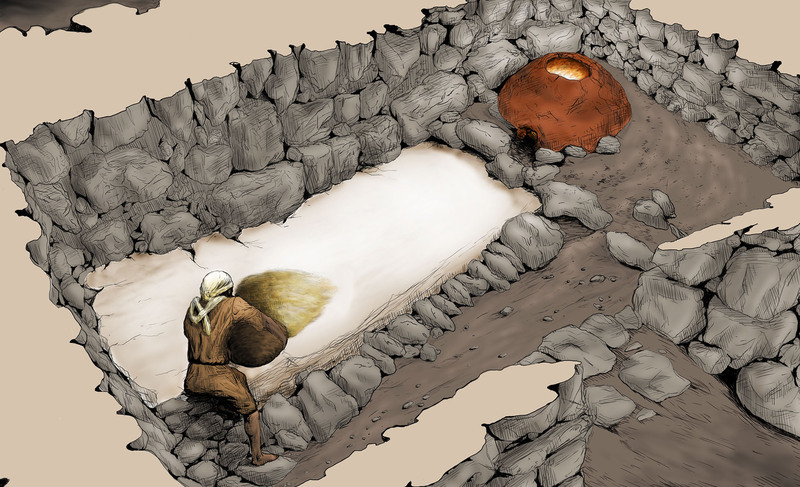 Reconstruction of the Iron Age grain kitchen excavated in Area A’s monumental building at Busayra (courtesy C. Morse). Fig. 20. 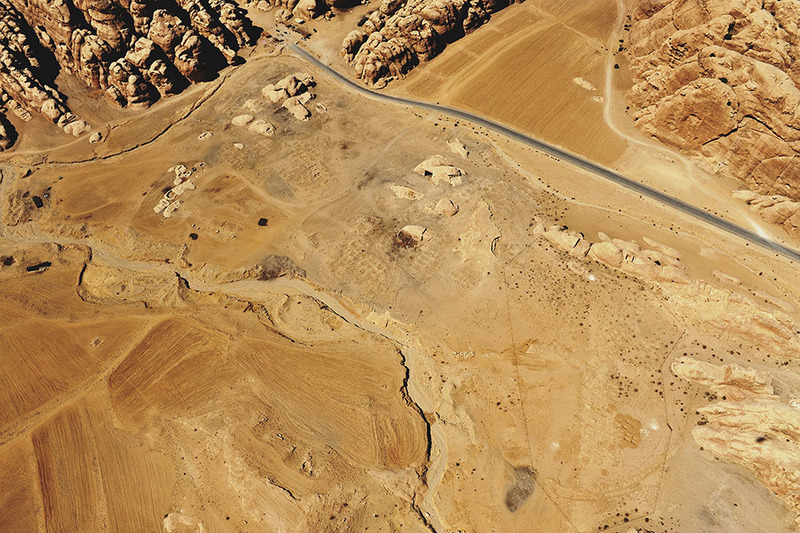 Aerial view of the barrage and rock-cut cistern system at Jabal Juhayra. Fig. 21. 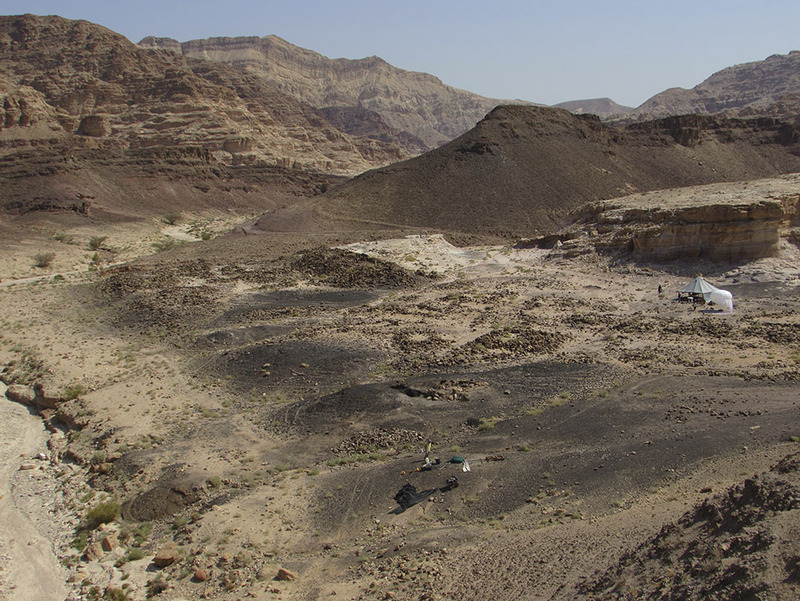 Overview of Bir Madhkur with the ancient settlement in the background. Fig. 22. 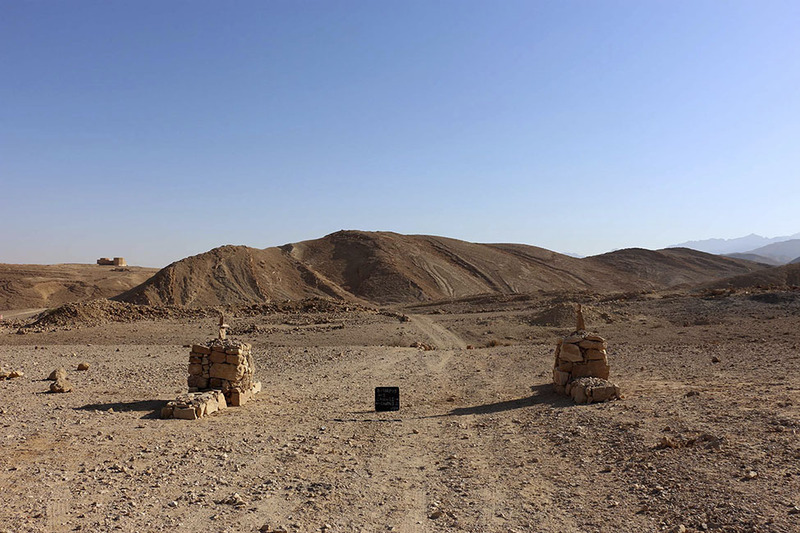 Cairn markers along the trail from Bir Madhkur to Petra. Fig. 23. Plans of the three Royal Tombs within Petra, showing how the tombs are affected by different seasonal solar events. Fig. 24. Aerial view of the village under study by the Islamic Bayda Project (D. Kennedy, APAAME_20081009_DLK-0371; courtesy Aerial Photographic Archive for Archaeology in the Middle East [APAAME]; www.apaame.org/). Fig. 25. 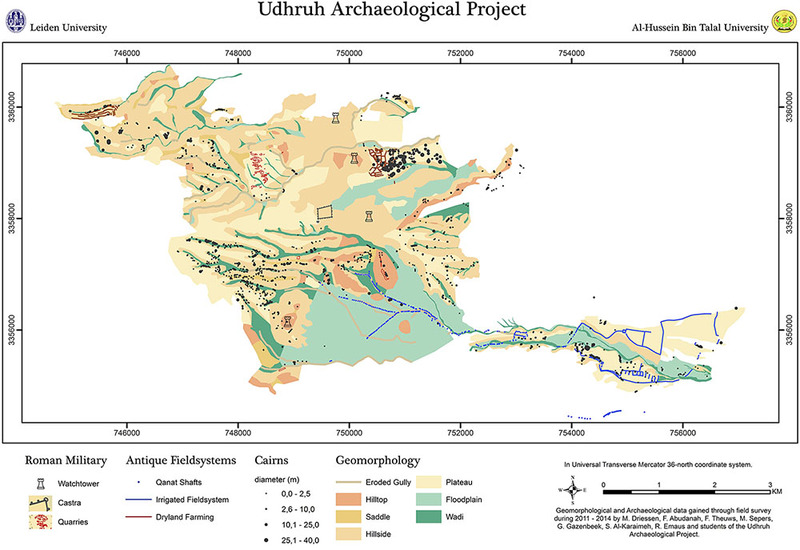 Map of the Udhruh Archaeological Project research area, with recorded sites and features highlighted. Fig. 26. Humayma’s “Commemoration Cliff” in relation to the quarries, “Flat Top Activity Area,” nearby wadis, and Jabal Qalkha.